When setting up payroll, have you ever wondered what you should do first and where to change your default accounts to suit the needs of your business? Now, let’s take a look at some other handy tips in payroll. 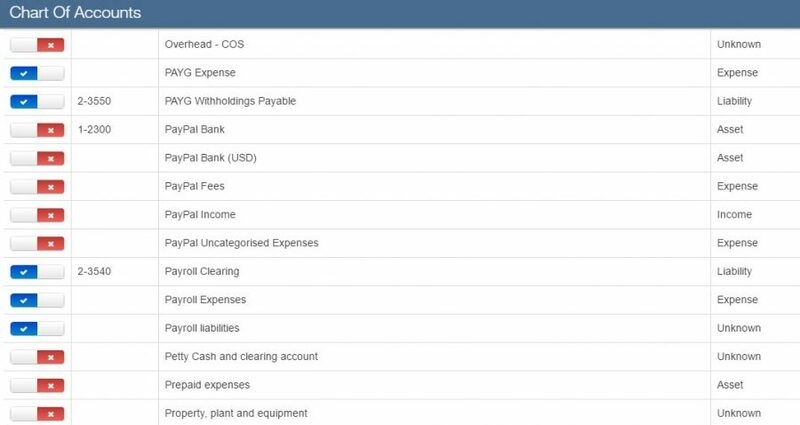 When setting up the ‘Chart of Accounts’, the setup will default the accounts for each category, which can be easily changed if required. 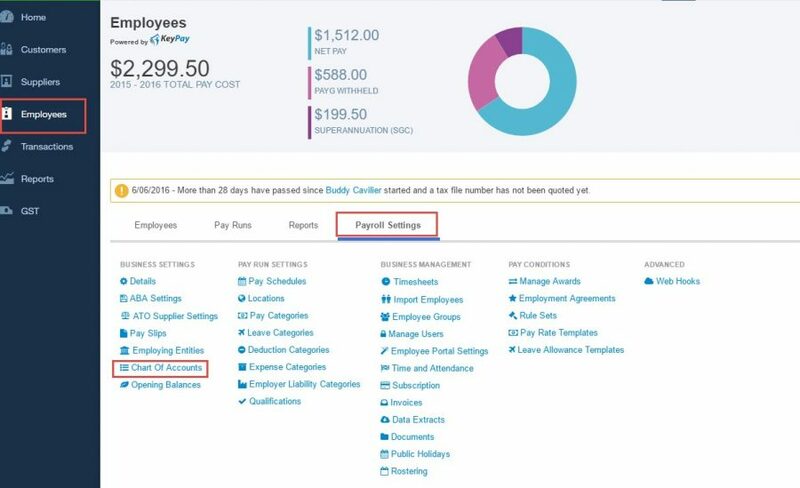 Go to the Employees form on the left hand side navigation bar, then choose Payroll Settings and choose Chart of Accounts. The Default Accounts can be chosen for each field required from the drop down menu. If you prefer a different account do be set as a Default Account or in a Pay or Deduction category, click the Import Accounts button. 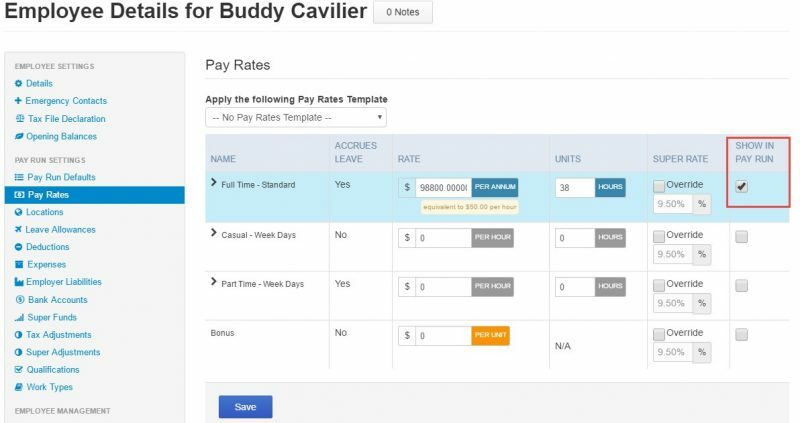 This allows you to choose the account you would like to bring into payroll. Just click on the red or blue area to choose the accounts you would like to see imported into the default Chart of Accounts area. The click Save Accounts List from bottom of the page. 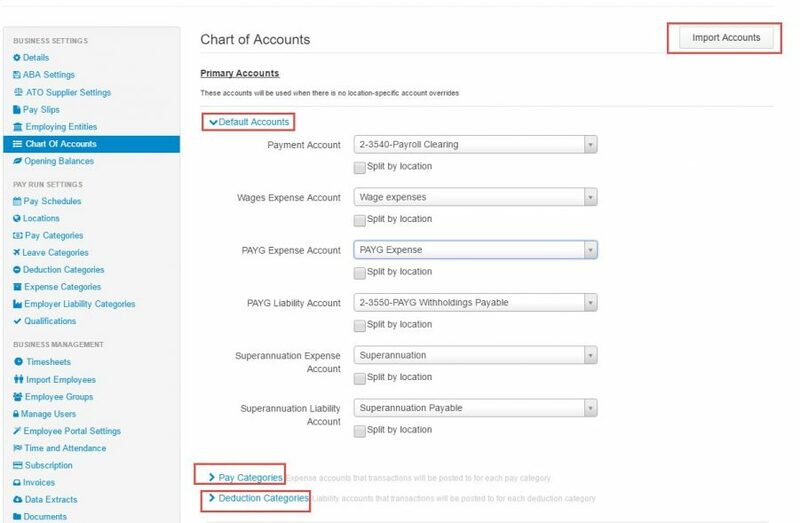 Once saved, you will be taken back to the Chart of Accounts window to map your QuickBooks Online Account to the default Payroll Accounts. Choose from the drop down menu the account that has been imported. When setting up Pay Schedules, it’s always a good idea to set up a Pay Schedule as ‘Adhoc’ for any in-between payroll runs that need to be processed, which sometimes do not match the normal pay run. For example, new employees arriving in the in-between pay periods that need to be paid, employee’s termination, director payments, and so on. When entering a new employee’s details, ensure you have all the information required handy at your fingertips. Set up a ‘New Employee’ form and have this ready to hand to new employees that will cover off all information required for a new employee. Have it ready to enter into QuickBooks Online, and from a compliance perspective, also have a “Super Choice Form” and “TFN Declaration Form” ready to be handed over. 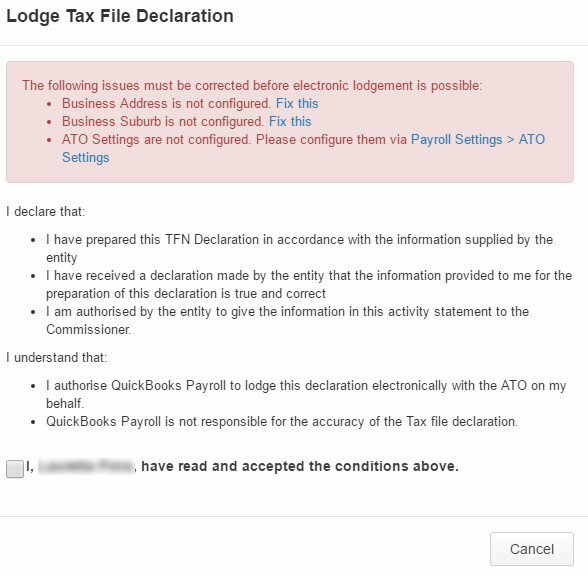 Lodge the Tax File Declaration directly from QuickBooks Online. 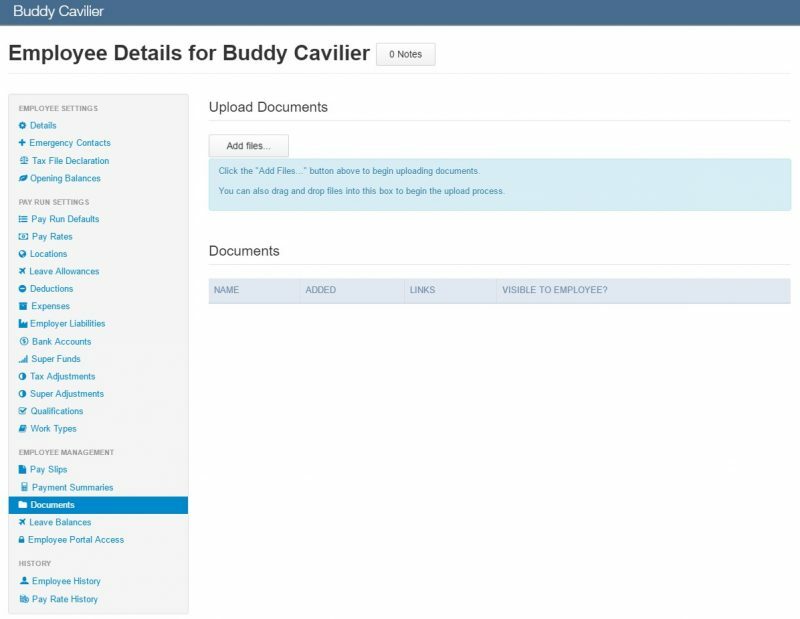 Click into the Employee name, go to the left hand side navigation bar > Tax File Declaration, ensure all issues are addressed (if any), accept the conditions above field and hit send. Or, choose the Mark as Lodged button. 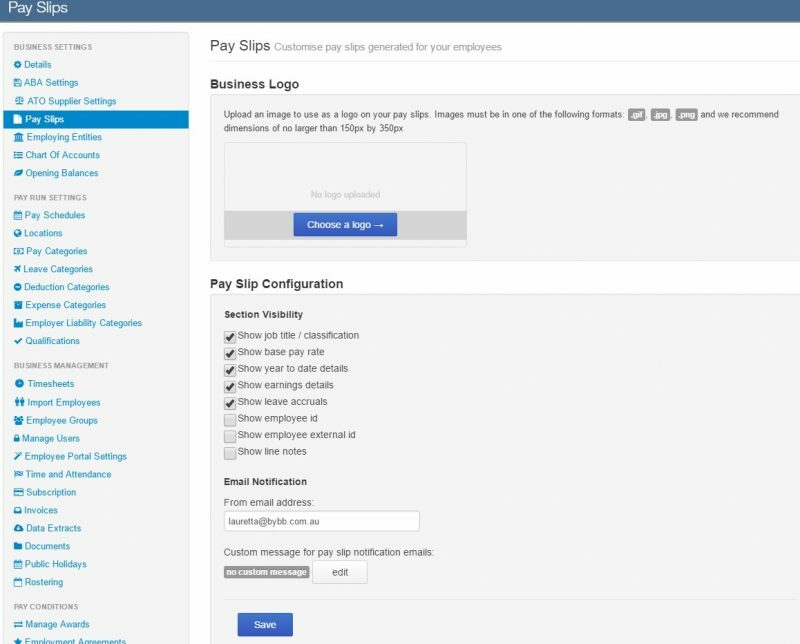 Customise the Payslips From the Payroll Settings, choose Pay Slips. Then, all that is needed is to upload a logo and choose the Pay Slip Configuration that is to be shown on the pay slip. ** Please note that if you do not want the Personal/Carer’s Leave shown on the payslip, this needs to be done via the Leave Categories button. 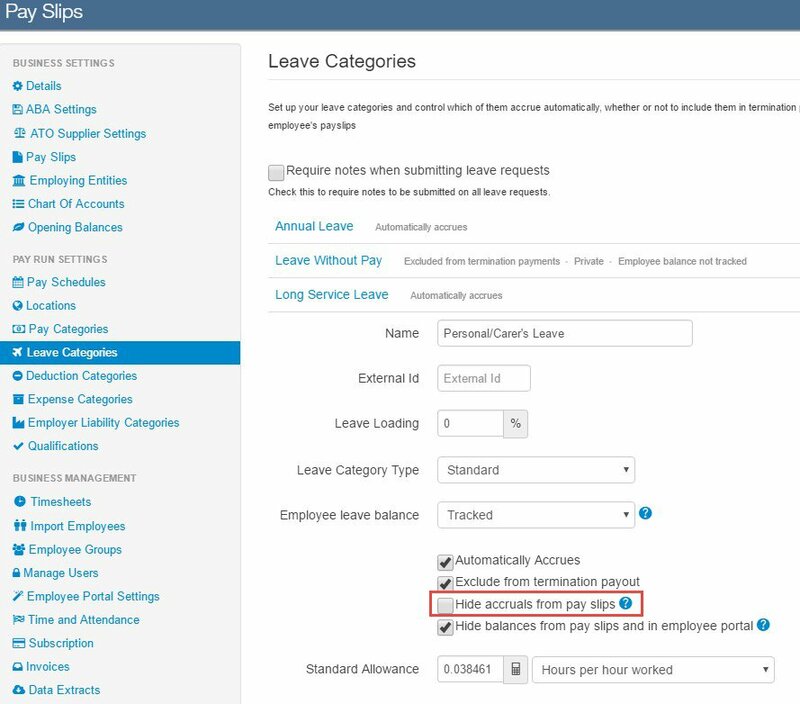 Click into the Leave in question, then enusre you untick ‘Hide accruals from payslips’. Within the employee’s details, ensure you set up the default that will be shown in every pay run (ie. full time standard). They also may have deductions or allowances each pay run, so ensure that these are chosen in the Show in Pay Run column. Upload any documents for the employee. Under the Documents button, just click on “Add Files”. Possible scenarios of documents to be uploaded could be Sick certificate from Doctor, a completed educational certificate, or Annual leave approval if done manually. Don’t forget the Payroll Support button on the right hand side will get you quick support at your fingertips, whether you find a support note that answers your question or if the support note is not helpful, choose the None of these are helpful option. You will have one of the KeyPay dedicated support team answer your question. Include a sentence or two to tie together the whole piece. 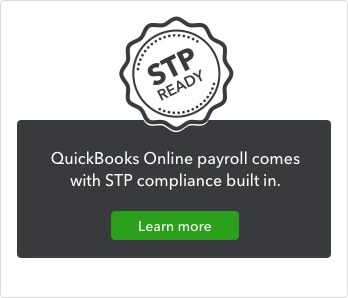 Getting Payroll set up correctly from the initial setup is very important as this will save you a great deal of time.